Are you ready for the best recipe of the year?! I don’t know if you’re ready for this yet. Just putting it out there that it’s been like a full 4 days since the year began, so the competition wasn’t that stiff. The one. The only. Humm-to-the-Us. HUMMUS! I say this homemade hummus recipe is 5 ingredients, but if we’re getting real technical, you can make it with one. A hugh jass can of chickpeas. Yes. No oil. No tahini. Just a gang of chickpeas, and it’s mysterious juices. That sweet bean nectar of the gods! ..Otherwise known as aquafaba for those who are culinarily fluent. Either way, a buck and some change is all that stands between you and a pound of spreadable, edible chickpea HE-AV-EN. 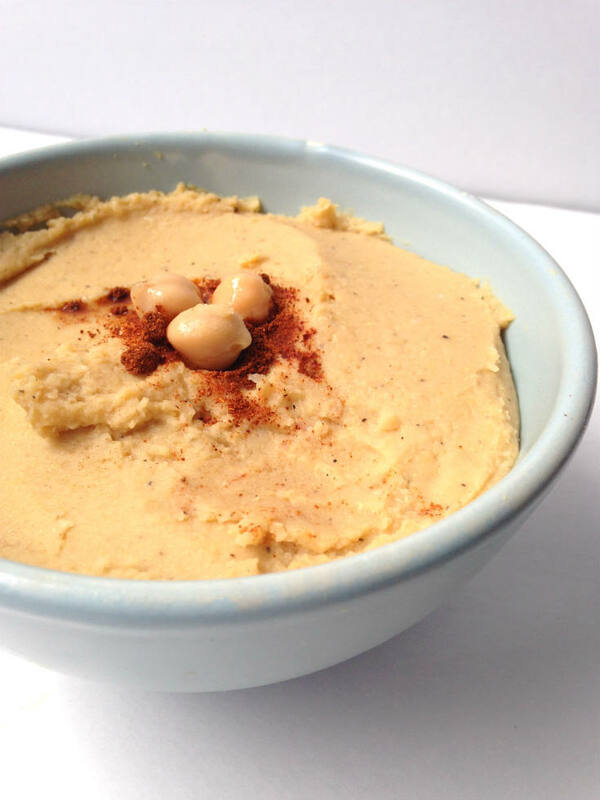 5 Minute Homemade Hummus Recipe — The easiest hummus you’ll ever make. No oil or tahini required! 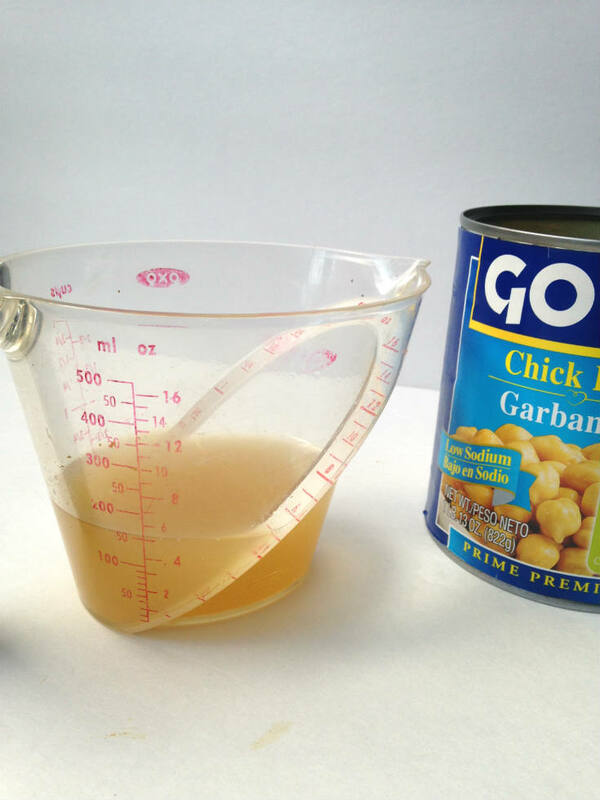 Drain and rinse chickpeas, reserving 1 cup of bean liquid. In the bowl of a food processor, add chickpeas, garlic, salt, pepper, and 1/3 cup of bean liquid. Blend on high for 30 seconds, and scrape down sides of bowl. Continue blending, adding additional liquid if needed until smooth. Add additional herbs and spices of your liking if desired. Looking for more hummus-filled recipes? What recipe do you make the most often? 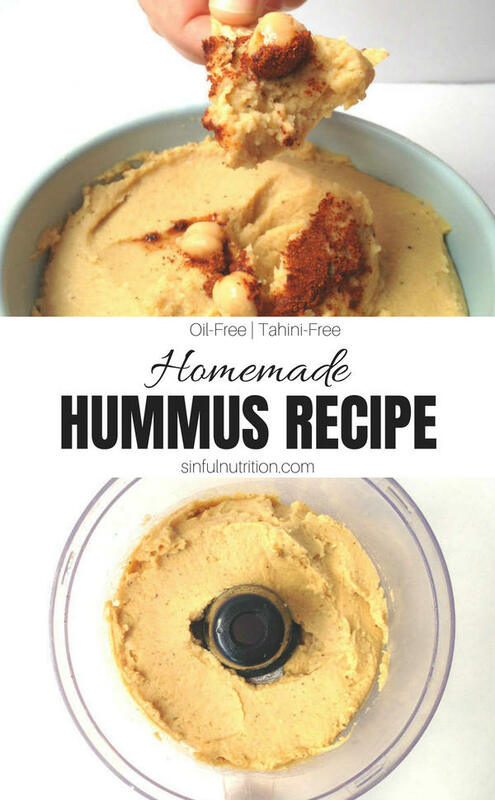 This is perfect for me since I never have tahini on hand because it’s too expensive!! Agreed! And I never have any other use for it! I love making homemade hummus, but I have never tried without oil. I love this idea! I will certainly be trying this soon! Thanks Jodi! Hope you enjoy! Yesterday at the store I almost bought hummus and then I thought, why I have everything I need to make that! Great minds think alike! Love this! My husband loves to make this but he always estimates the measurements and we never quite get it right. 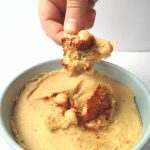 Love the idea of pizza hummus! I will never go back to buying hummus! It’s so expensive and making my own HUGE batches (and freezeing!) is so much better, flavorful, and fun! I’m all about cheap, easy, and delicious! Never thought of freezing it though! I am trying this tomorrow! I have been wanting to make hummus for awhile but didn’t have tahini. My dreams have come true! This sound great and I’m going to see the other two variations too =) I still can’t rate it because I did not make it YET =D Have a great 2016 and my all your goals come true. I love to make my own hummus as well. I have not tried using the liquid from the beans but hey why not! You know what. I have never made hummus without Tahini paste. May just have to try this one. Looks good. Hummus is a staple in our house. Roasted red pepper and original. Always in the fridge. Emily, what recipe plugin are you using? Thanks! Thank you for this easy hummus recipe!! I never have tahini on hand so I never made my own. Can’t wait to try this! Yum! 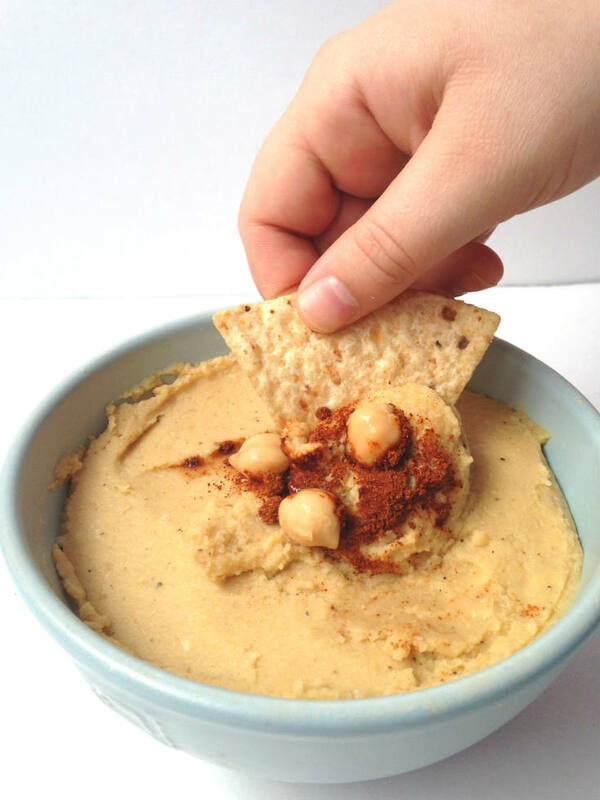 I LOVE humus and I can’t wait to try this quick & easy recipe. I think my kids will really enjoy it too! !